Description: Bowlette, Gottlieb, 3/50, 1000 produced. 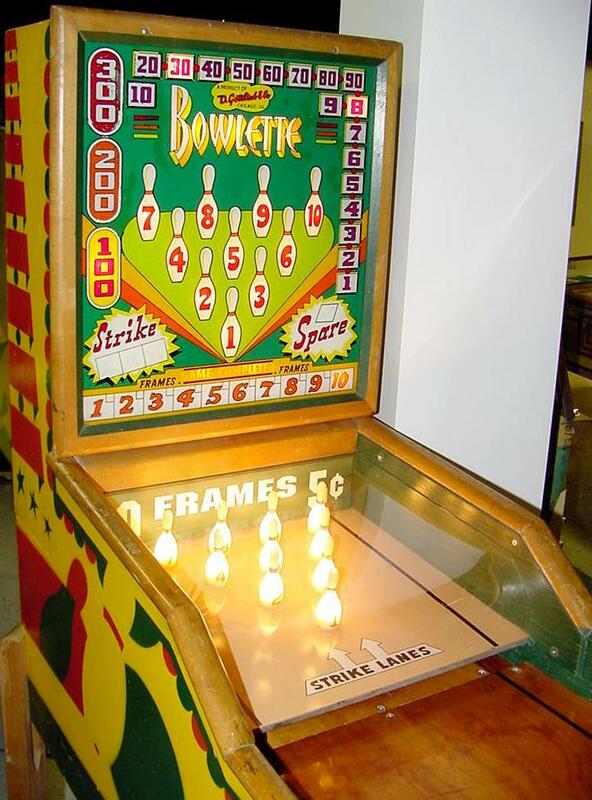 Gottlieb's only (shuffle) bowling machine, 69" long (17" longer than a pinball of this era), and just 22" wide (same width as a pinball of this era). 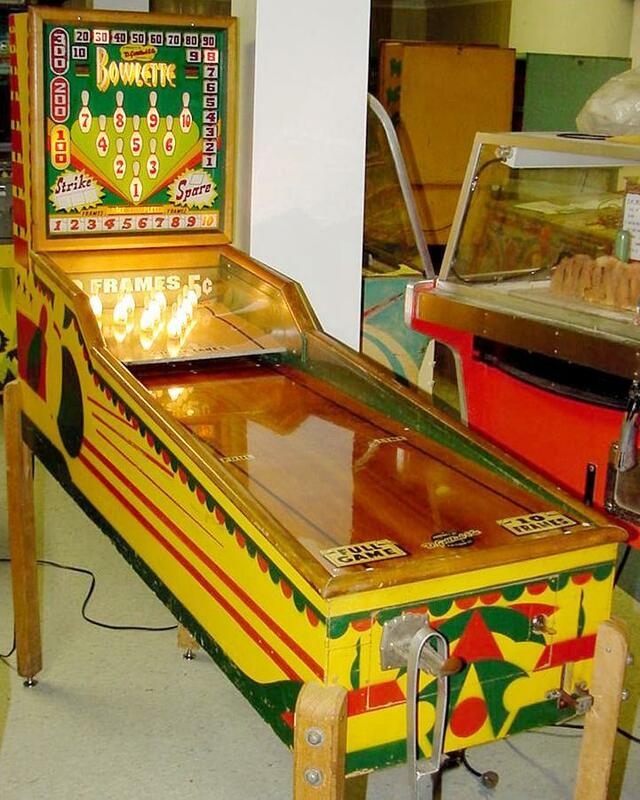 The game is small compared to puck bowlers by other manufacturers. Uses one small 2" diameter pucks with the "Gottlieb" logo in the center (most puck bowlers use a 3" puck). 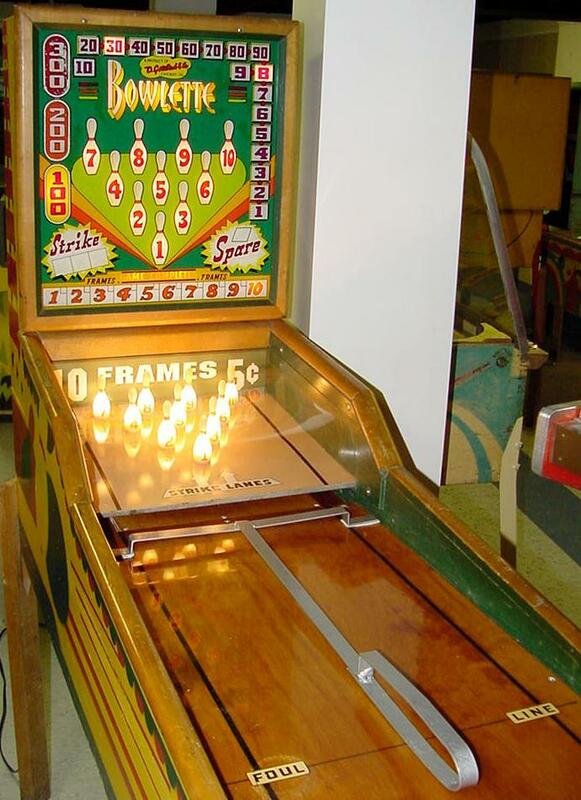 Puck slides under the pins, which turn off the lit pins as they are "hit". There is a release coil that allows the puck to roll thru the game and to the player during game play. Puck is returned to the player at the front of the cabinet next to the coin door. If game is over, puck is kept inside the game and is not released until a new game is started. Score Regulation bowling, unlike nearly all other shuffle alley games during this period (it wasn't until 1955 when United stopped using the 30/20 point score for a strike/spare). 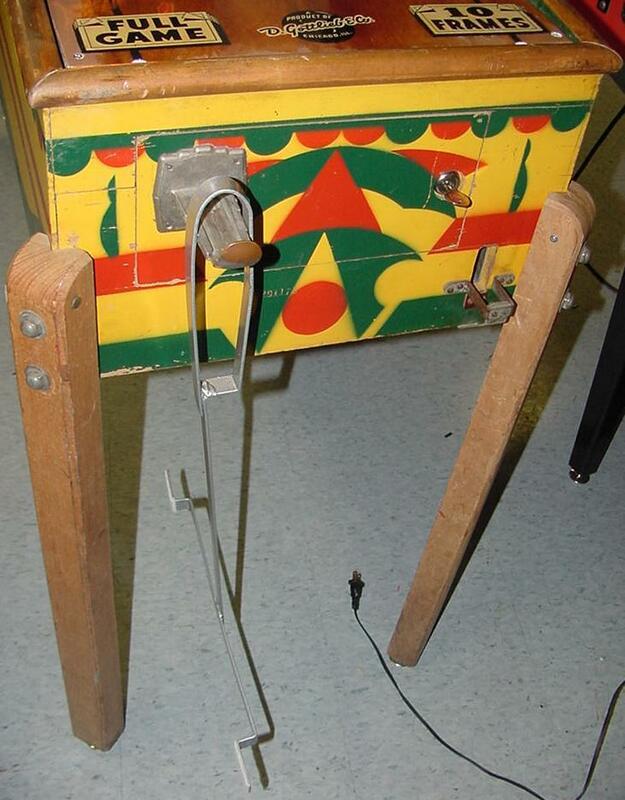 Game also came with a metal "T" rake in case a puck was thrown lightly (and didn't get past the pins), allowing the user to push the puck under the pins and into the back return lane. Woodrail artwork by Roy Parker. The puck rake can be seen in this picture. This is usually missing from most Bowlette games.